Join us for the first major event of 2019! In partnership with United Bank, the Washington Business Journal, and George Mason University, Looking Back, a Decade of Transformation; Looking Forward, a Future of Opportunity will provide a forum for both public and private sector leaders to gain insight on key economic drivers, workplace trends, and the exciting arrival of Amazon HQ2 and how the investment of resources, innovation, and talent will impact and shape the regional economy in the coming year and beyond. The event will be held on Thursday, January 31 from 7:30-11:00AM at Hilton McLean Tysons Corner. To see a full list of panelists and to register, click the link above. 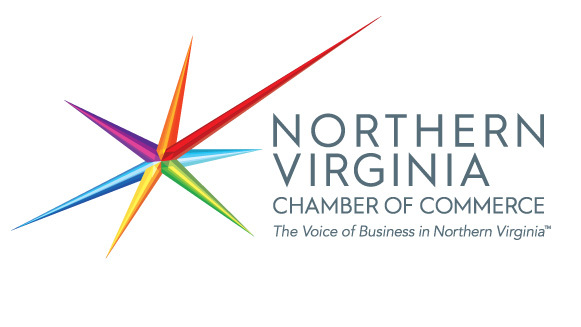 The Northern Virginia Chamber will continue the tradition of the business community's annual Viva Virginia reception in Richmond at Wong Gonzalez Restaurant from 6:00-8:00PM on Thursday, January 24. This VIP legislation reception has been a tradition for legislators, policy makers, cabinet secretaries, and Virginia's business community for a number of years. To learn more and register, click here. The Northern Virginia Chamber of Commerce and Velvet Suite, Inc. are proud to announce The 2019 She-Suite ® Summit, the premiere experience for influential leaders to elevate a successful career and a significant life. The event will be held on Thursday, March 14 from 8:30AM-5:00PM at The Ritz-Carlton, Tysons Corner. Join us to discover proven strategies and high caliber connections to activate your own personal brand of leadership as your greatest authentic advantage. To learn more and register, click here. We have faced an unprecedented two years that have included numerous hurricanes, floods, wildfires and far too many manmade disasters. The experience reminds us that both natural and manmade disasters could occur in the Washington DC metro area at any time. The American Red Cross will launch the first annual Disaster Preparedness Summit in Washington, DC on Monday, January 28. The mission with this event is to address the threats and risks to this community, our region and offer real world ways in which companies and other organizations can assess their readiness and better prepare for the unexpected. To learn more and register for the FREE event, click here. VDOT announced that an important new connection for drivers in Tysons partially opened to traffic. The Jones Branch Connector opened one lane of traffic in each direction while construction on the project continues. It provides a new connection to Route 123 and provides an alternate route across I-495, linking the Tysons East and Central area. To read a full press release, click here. Join Thompson Greenspon on Tuesday, January 22 at one of their two sessions at the Country Club of Fairfax to keep up-to-date on the latest changes in legislation that will affect you. Since the monumental passing of the Tax Cuts and Jobs Act that resulted in historic tax reform impacting nearly everyone in America, many updates have come out providing clarification for the original Act. This seminar will provide a comprehensive overview of the changes impacting individuals, corporations, and pass-through entities along with reviewing tax planning considerations for individuals, investors, owners, and executives. To learn more and register, click here. The Community Foundation for Northern Virginia’s Business Women’s Giving Circle (BWGC) announced the winners of its fifth annual grant cycle. A total of $52,500 has been awarded to four local nonprofit organizations that provide science, technology, engineering and math (STEM) programs to girls and young women in Northern Virginia. To date, the BWGC has awarded $230,500 in grants. To view the winning organizations and read a full press release, click here. On January 9, 2019, Fairfax County Virginia’s Building Division took a great leap forward to improve speed, consistency and predictability for their customers with three major process changes: ePlans Launch, Commerical Walk-Thru Program, and Residential Truss Shop Drawings Online Submission. To learn more, click here.